Abstract: As the nineteenth century drew to a close, white American psychiatrists declared that mental illness among African Americans in the South had reached alarming proportions and argued that, in a notable percentage of these cases, “religious excitement” was the key precipitating factor. This talk explores late nineteenth and early twentieth-century psychiatric theories about race, religion, and the “normal mind” and shows how the emerging specialty of psychiatry drew on works from history of religions to make racialized claims about African Americans’ “traits of character, habit, and behavior.” This history of the intersections of psychiatry and African American religions sheds light on how ideas about race, religion, and mental normalcy shaped African American experience in courts and mental hospitals and on the role the racialization of religion played more broadly in the history of medicine, legal history, and the history of disability. Judith Weisenfeld is the Agate Brown and George L. Collord Professor of Religion at Princeton. Her field is American religious history, with emphasis on 20th century African American religious history; religion, race, and gender; and religion in American film and popular culture. She is the author of New World A-Coming: Black Religion and Racial Identity during the Great Migration (NYU, 2017), which was supported by fellowships from the National Endowment for the Humanities and the American Council of Learned Societies,Hollywood Be Thy Name: African American Religion in American Film, 1929-1949 (California, 2007), for which she received a National Endowment for the Humanities summer stipend, and African American Women and Christian Activism: New York’s Black YWCA, 1905-1945 (Harvard, 1997). Her current research examines the intersections of psychiatry, race, and African American religion in the late nineteenth and early twentieth centuries. 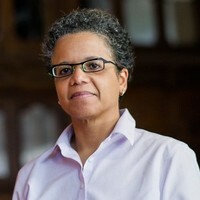 In addition to her appointment in Religion, she is affiliated with the Department of African American Studies and the Program in Gender and Sexuality Studies. She serves on the Executive Committees of the Program in American Studies and the Center for the Study of Religion. Read more about her - and read some of her online essays - on her website. The James & David Orr Lecture on Culture and Religion at Dartmouth.